The Mt. Sac Invitational is heralded as the largest cross country race in the world boasting over 15,000 finishers from nearly 1000 teams. Spread over two days runners besieged the challenging 2.93 mile course, sometimes starting as little as seven minutes apart. Of those participating 78 were state ranked teams, including the defending individual and team national champions. And so the stage was set for the Warriors who returned to the venue for the first time since 2010; competing in one of the largest, most competitive prep cross country races in the United States. The Warriors' focus this season has been to be their best in November when it counts the most. There could be no better time to come into form than heading into the WCAL and CCS Championship in the coming weeks. 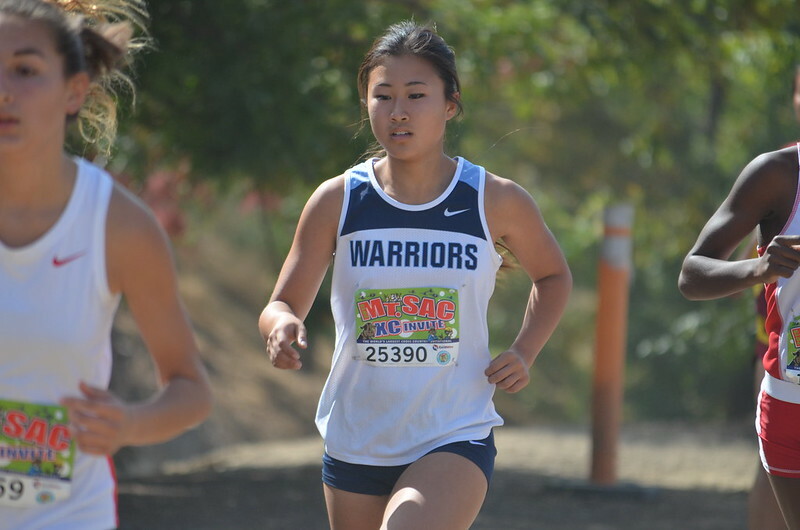 Following a spectacular mid-season run at the Clovis Invitational the competing athletes once again took a step toward their goals of qualifying for the post season as 14 athletes earned recognition on the Warriors all-time list, including five medalists. Jason Li had the breakthrough race he has been looking for all year finishing in team record time 16:58. Taking the pace out fast he managed to hold on through the switchbacks and later hills to break the 17 min barrier. He led an impressive performance for the boys, who continue to grow and improve as a whole setting the team record for the course with a mark of 89:27. Without a senior on the varsity team, youth abounds. Collectively the team has stepped up their training, paid their dues and are beginning to gain momentum heading into the end of the season. Jeremy Dong was second across the finish line for the Warriors in 17:55. He was followed by Peter Enfantino (18:17), Tejas Reddy (18:33), Dean DeMoss (18:33) and Sam Han (19:22). The Varsity girls finished sixth in team scoring led by strong consistent performances from the Lady Warriors. Kailey Eddy and Jessica Xu finished in the medals as Eddy finished 5th and Xu 11th. Eddy (19:27) and Xu (19:45) took to the front from the start picking up some places on the final stretch with strong finishes. Karen Mac improved nearly 90 seconds from her freshman time three years ago to finish in a solid 20:30. She was followed by Nicole Favre (21:36), Leia Wang (23:12), Morgan Starkey (23:20) and Shannon Luu (23:32). Nedu Ndili took the pace out hard leading the race through the mile in just under 5:20. Hitting the steep switchbacks he began to pay the price for the fast start but managed to hold on and finish 14th in 18:09. Running more strategically the first mile was Jason Baraona (18:12) and Cameron Lockard (18:13) who went to work later in the race to finish just seconds behind Ndili in 15th and 16th, respectably. 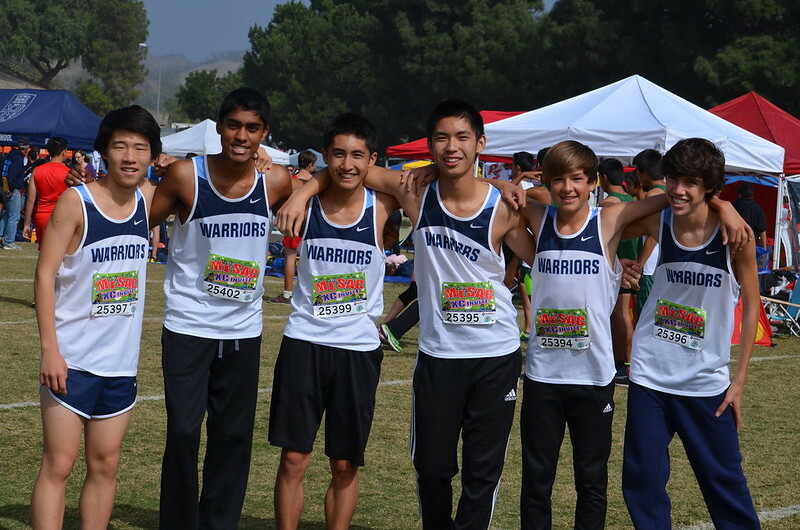 The strength of the pack continued through the entire Warriors Squad as Samuel Cuevas (18:58), Yash Patel (19:32) and Newman Hu (19:46) closed out the team scoring helping the Warriors to a third place over-all finish. 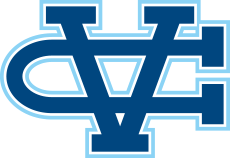 The Warriors will next compete in the WCAL Championship at Crystal Springs on November 6.